A 40th birthday is a big occasion for most people. It’s a significant milestone in life that should be marked with a celebration. If you’re in charge of planning a 40th birthday party for your husband or boyfriend you’ve got quite a task on your hands. Guys never seem to want to make a fuss about their birthday – until it’s passed. Once they’ve had their fun they usually admit celebrating the occasion was a great idea. The one caveat is to make sure it’s not a surprise. After all, it is his birthday and some people don’t like surprises. First you need a suitable party idea. Ultimately, the best party theme is going to be one that involves the birthday boy’s interests or hobbies. But if you’re looking for inspiration, the list below has something just about every guy would be happy to have on their 40th birthday. Most of the year Central Texas is hot. Like, three digits hot. Many people head to Lake Travis to escape the heat and take in the beautiful Hill Country setting. The large lake also provides ample opportunities to party. You can choose between renting a party boat, renting a lakefront home and throwing a birthday bash or camping out along the lake. If your husband or boyfriend is the type that loves to give back throw a fundraiser event in honor of his birthday. Team up with a local charity that he supports and throw a bash to raise donations. Instead of gifts, encourage guests to donate to the cause. We love barbecuing in Texas, but a special occasion calls for something a little different. Guys that love to grill will get a kick out of roasting a whole pig in the backyard. Go all out with leis for the guests to wear, hula dancers, umbrellas in drinks and tiki torches. You can use your husband or boyfriend’s favorite music as inspiration for the party theme. Or choose a style of music that was popular while he was in high school or college. One bonus is it will be easy to come up with a music list for the DJ. Another way to go with the theme is to have the guests dress up like their favorite music artists from the genre or era. If you’re surprising him with a trip for his birthday you can use the destination as the theme. Or relive a trip you took together. Decorate with pictures from the trip, serve foods you ate on the vacation and choose a few fun activities to incorporate during the party. Reliving the past experience will automatically make it a memorable party. A popular 40th birthday gift is checking something off a bucket list. Celebrate the occasion or surprise your loved one with a bucket list gift by using it to create a party theme. For example, if your husband or boyfriend has always planned a sailing trip in the Caribbean give the party a nautical theme. Make it the most epic movie night ever! Everybody has a favorite movie that they’d love to bring to life. Give your husband or boyfriend an Oscar-worthy birthday party by making it movie themed. Tailor everything to the movie – attire, setting, decorations, food, etc. You can also rent a projector to create a true home theater to play the movie during the party. Of course a casino night party is going to be on the list for 40th birthday bashes. Your husband or boyfriend can step his regular poker night way up with casino games that you can usually only find on the Las Vegas Strip. You can go all out with slot machines, black jack tables and Texas Hold’em or hold a professional-style power tournament. How big you go is all up to you. 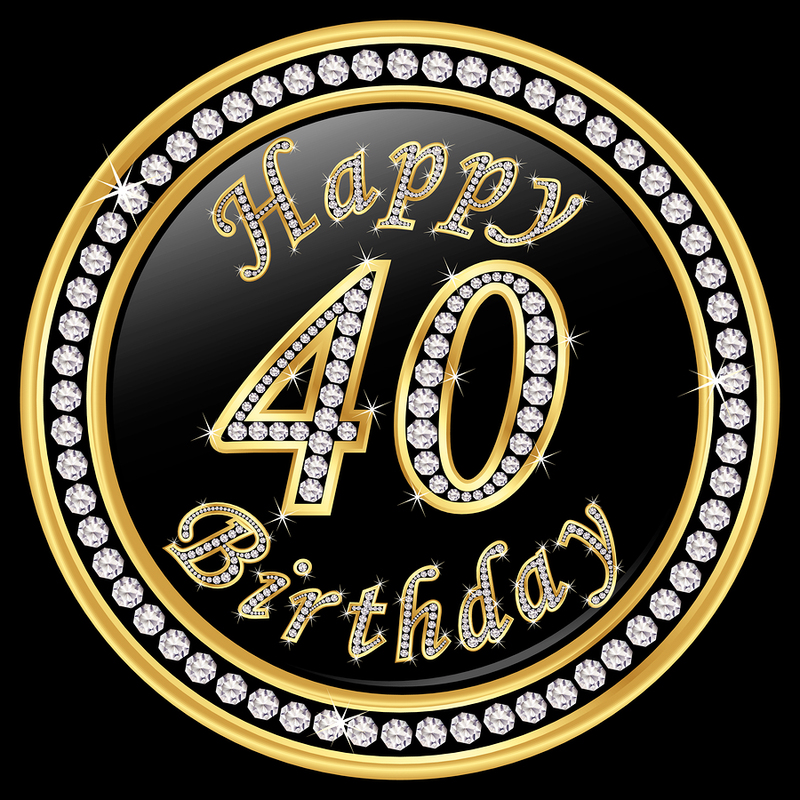 Make your husband or boyfriend’s 40th birthday a night to remember with party planning from Casino Knights Inc. We can help you arrange every last detail so there’s nothing to worry about during the party. You can relax and celebrate like high rollers for a night while we work the floor! Give us a call to learn more about our eventful casino parties.